At our clinic we will advise you of your options and where appropriate prescribe the most suitable anti-malarial drug to minimise your risk of contracting this disease. Because of the cyclical nature of the disease it is important to stick closely to the anti-malarial regime prescribed - starting before travel, during the travel period and continuing for the specified period on return. Prevention of bites is extremely important in minimising the risk. • Cover up exposed skin particularly at dawn and dusk. 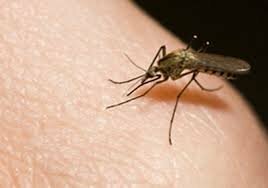 • Use a good DEET base mosquito repellant on skin and clothes. • Use a mosquito net over your bed at night unless you are in an air-conditioned environment. • Treat any bites with a bite cream and take an anti-histamine tablet if symptoms are apparent. • BUT MOST IMPORTANTLY - don't forget to take your anti-malarial tablets.